I’ve always considered myself to be one of those people who champions the underdog. I’m not sure how to reconcile this. Nonetheless, I’m very happy for you and I’m not going to stop buying your work. Congratulations! Patterson’s dominance astounds me. I’m not saying he’s a bad writer, I’ve read some of his stuff. They’re solid thrillers. But that genre is so crowded with good writers that it’s just amazing that one guy can be so far ahead of everyone else in sales. I was at my local B & N and checked out his section. 7.5 shelves of paperback books! Even more impressive as you’re not (yet) backed up by a massive film or television franchise. Congrats! And yeah, enjoy it. Publishing is stingy with its rewards. Gotta make the best of those that come your way. 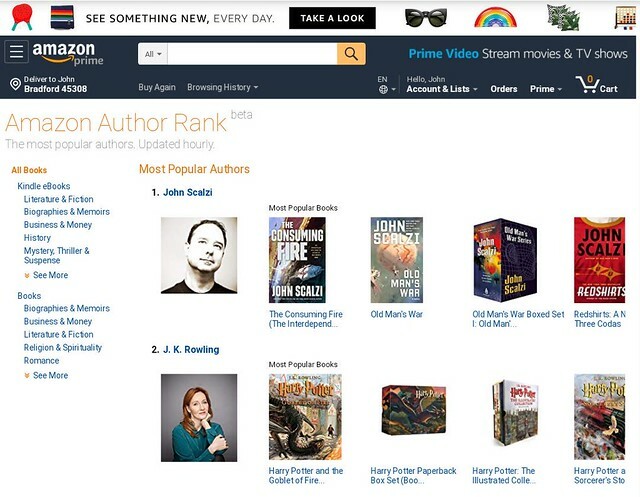 Congratulations for your Temporary Rise to the Top of the Amazon Heap, Scalzi! Above Rowling?! Wow! ;-) Congrats! Going to blog about your post as a great example of enjoying a success while continuing to focus on process, and also maintaining a proper emotional distance from the work. Congratulations on your success and thanks, as always, for being such a great role model! I’ve been doing my part, what with the paperback version of Head On coming out last week and all. But what of this ‘JK Rowling’ that is right behind you? I hear good things. Maybe give her a plug or something. Oh wow, congrats on being at the top of the heap, no matter how long or short. Hope you rewarded yourself with at least a small pat on the back for that. That is fantastic, and something to feel great about! 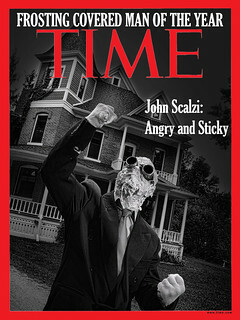 And as a fan, I’ll say it’s well-deserved and way overdue. You’ll still have a cat sitting on head later on, however. Cats are the ultimate critic. @S Wyatt: This is a distillation of something John said when I saw him on book tour over a decade ago, and my own anecdotal observations as a public librarian: the majority of book readers only read a couple of books a year, and they tend to go for the habitual and familiar. Most seem to find a prolific author, and make their way through that author’s corpus, then wait for the author’s next release. Or they might follow a few authors in similar genres. But they rarely stray too far afield. 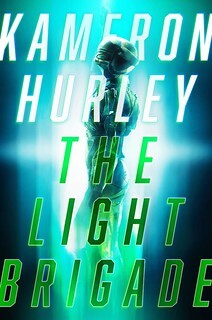 These days thanks to working with a small army of co-authors, Patterson is putting out around a half-dozen books a year, not even counting his YA releases. If you find his books comfortable or engaging, he’s made himself a literal one-stop-shop for your recreational reading. Like the slave said, “All glory is fleeting.” Still, you had your day and it was a good one. Congrats! What all do they count? I bought 2 books last week, but through Google Play Books. Meanwhile, clicking on your Google+ link gets a 403 error. Sic transit gloria mundi. Eh.. Disney is buying all the tickets….wait….that doesn’t work…. Congratulations, of course. But do you have any idea why this is the case? It’s not like you’re releasing a new book or anything. Congratulations! I’ve always liked a story James Patterson told at the end of an audio book of his. He was in Hollywood for the filming of one of his books. He was having dinner with Morgan Freeman, who was playing Patterson’s detective Alex Cross. They saw Clint Eastwood eating dinner alone, & Freeman offered to introduce Pstterson, who agreed. They were over at Eastwood’s table, chatting, when they saw a woman approaching the table. “You or me?” Eastwood asked Freeman. The woman walked up to Patterson, telling him how much she loved his books. “Sorry to interrupt you,” she said to Freeman & Eastwood. So you never know whom people will recognize. Wow, congratulations! You’re in pretty impressive company up there at the top of the heap. It’s great to see sci-fi writers getting the credit they deserve in bestseller lists. You’re helping to pave the way for the rest of us! Sweet, and given the timing I can say that I got to help a little! I was chatting with a few friends and we all bought The Collapsing Empire and the Consuming Fire on Audible around this time. I already have both in hardcover (great books) but I like audiobooks for my car and Wil Wheaton is a such a wonderful narrator.